For the last several years, the Left in the West has been rent asunder by a debate over what to do in regards to the war in Syria. On the one hand, it would be problematic to acclaim Syrian President Bashar al-Assad as a freedom fighter, particularly in considering his punitive policies. On the other hand, the events in Iraq and Libya after America ousted their governments is the augury of a disturbing trend in Western regime change policies that would have dire consequences for the entire region. Here again to help us hash through these issues and develop a principled vision of solidarity with the people now under siege by empire is Eric Draitser. 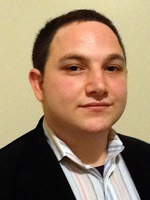 He is a policy analyst and author whose work can be found on RT and CounterPunch.